Orlando is an incredibly popular travel destination, and for good reason. It offers year round sunshine, great shopping, fabulous golf and of course world famous attractions such as Walt Disney world, Universal Studios and Islands of Adventure, which features the Wizarding World of Harry Potter. If you’re thinking about a holiday here, chances are that when it comes to accommodation, you’ll want to consider luxury villa rentals. After a day enjoying all the excitement of the theme parks, what could be nicer than coming home to the peace and quiet of your own villa with private pool? If this sounds as appealing to you as it does to us, we recommend you take a look at Luxury Villas USA. 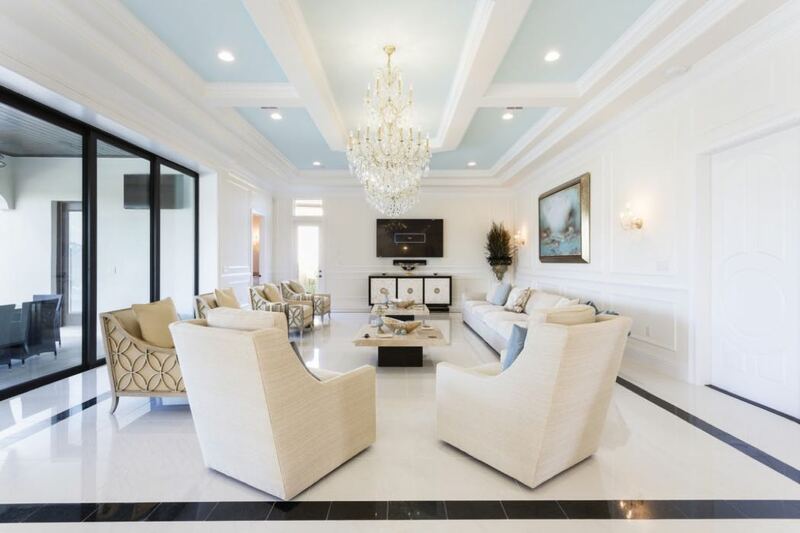 A family run business with many years of hands on experience within the Florida holiday rentals market, the ethos behind Luxury Villas USA is to offer “top quality properties to individuals and families who are looking for something very special”. 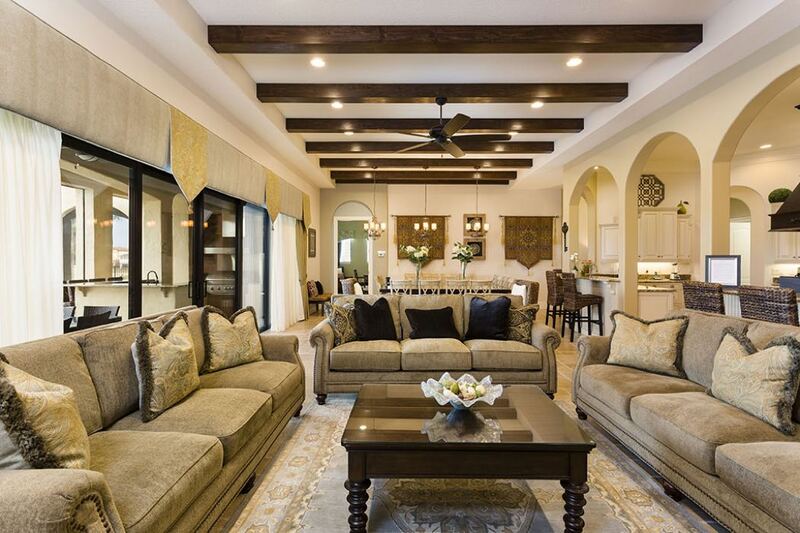 With a carefully selected portfolio of the very best quality villas, the company offers a wide range of accommodation to suit parties of 2 to 30 people, all located around five miles from Disney Florida and Universal Studios, and in close proximity to some of the best golf courses in the area. 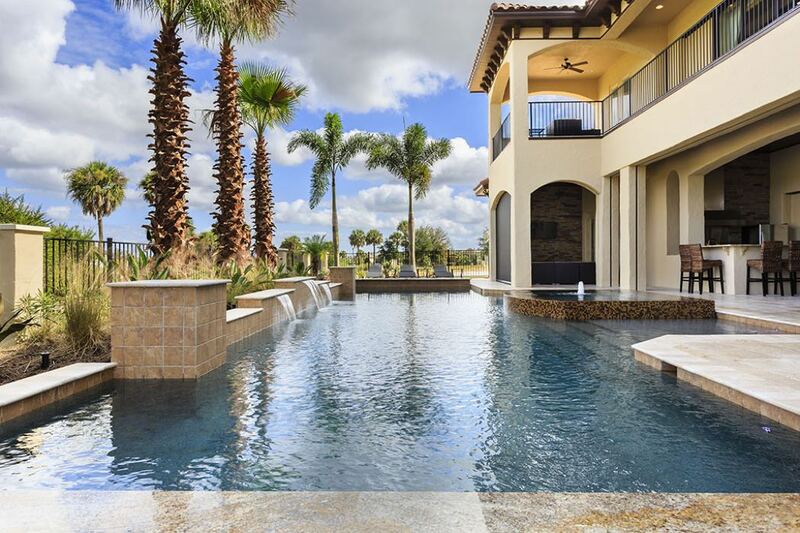 Villas are available to rent 365 days a year, while the locally based, highly professional management team is on call 24/7, so you can rest assured that Luxury Villas USA will take care of your every need. 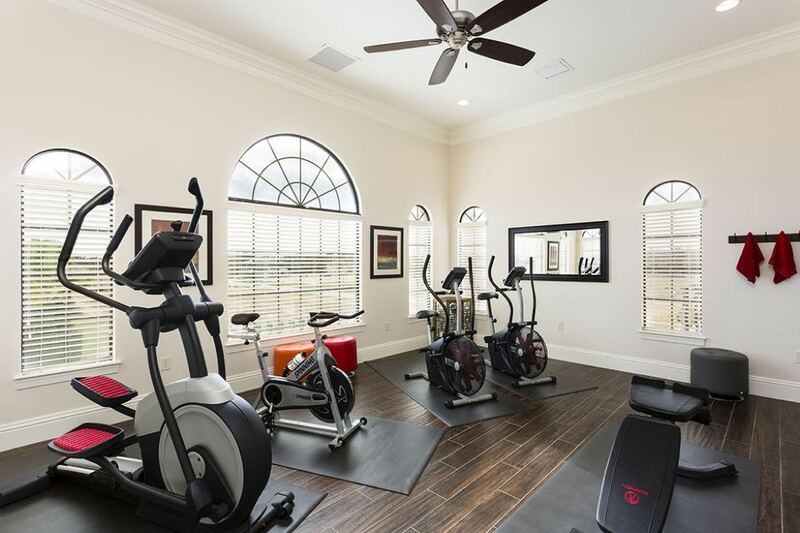 Read on for examples of the kind of accommodation you can expect to find at their Orlando villas. 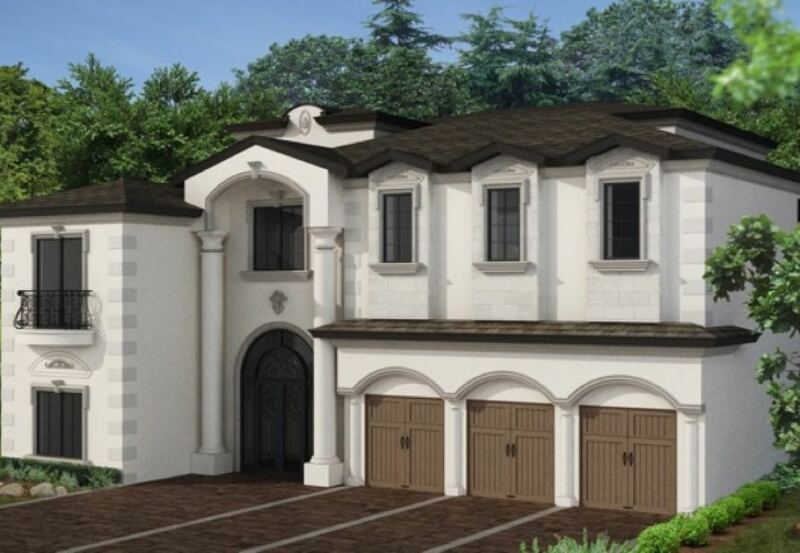 This truly stunning property offers 11 bedrooms (and 11.5 bathrooms!) and can accommodate parties of up to 30 people. 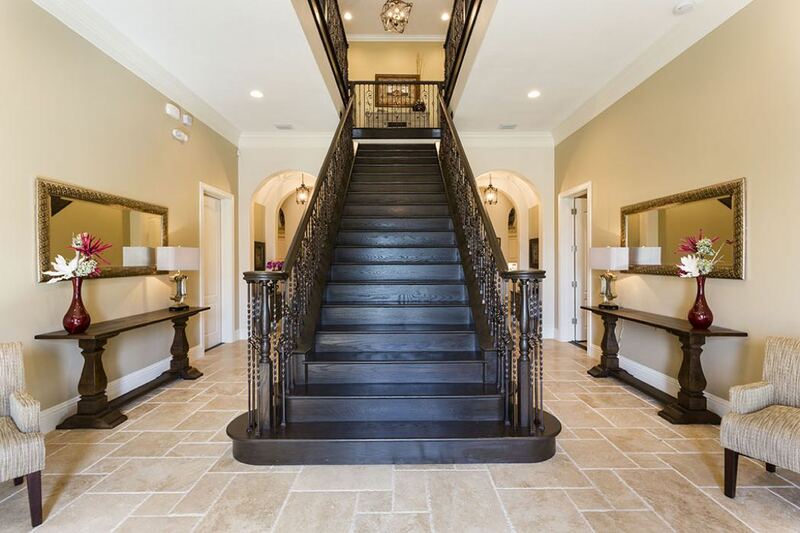 Beautifully designed and decorated, you will feel as though you are staying in a palace as soon as you step into the grand hallway and take in the site of the magnificent feature staircase. The ample accommodation available includes four master suites, eight king sized rooms and a bunk room with a wall-mounted TV and PlayStation – heaven for kids! Among the features of the many ensuite bathrooms are huge walk in showers, oval bath tubs, double vanities and wooden floors. Linen and towels are provided. Beyond the bedrooms, this amazing property also boasts an enormous kitchen, luxurious lounging and dining areas, a gym, vast gaming areas for both adults and children (including a pool table and arcade games) and a three-tiered private cinema. 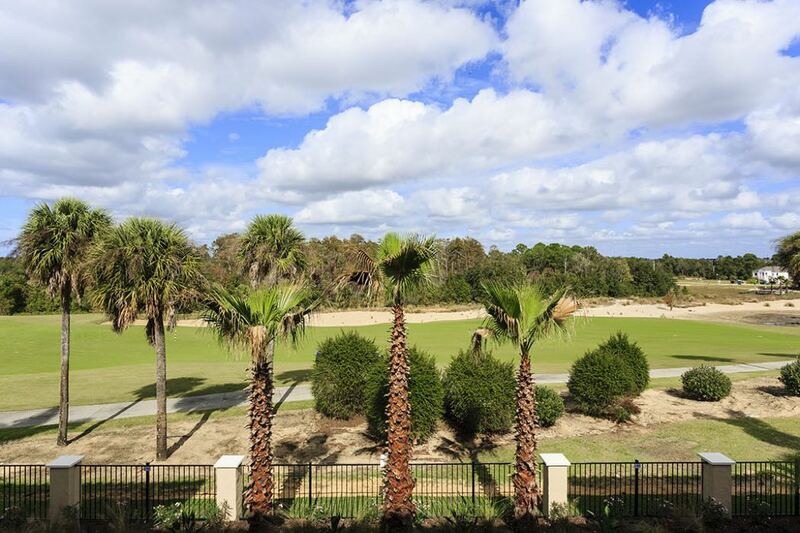 Outdoors, there is a huge private pool with spa and sundeck and the villa benefits from beautiful golf course views. There is also an outdoor summer kitchen, covered dining area and plenty of comfortable sun loungers. The property is air-conditioned with wireless internet and cable TV and has both a garage and additional parking space. 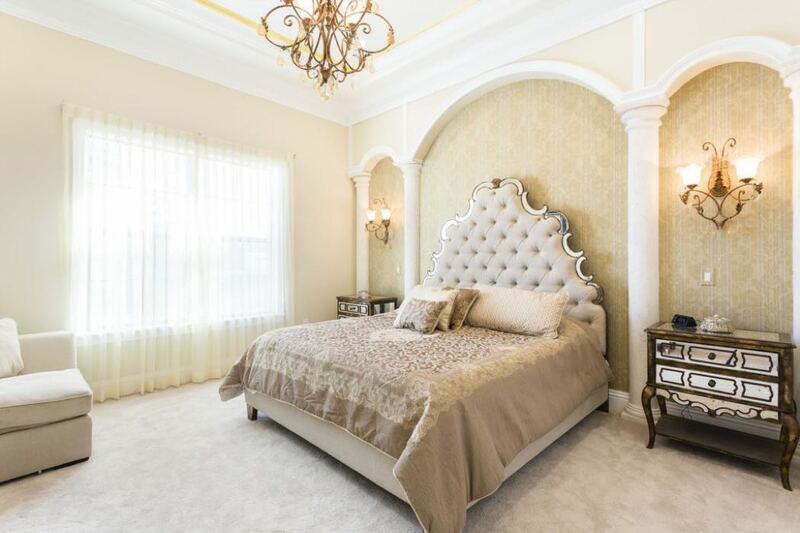 An elegant villa with spacious accommodation spanning three floors, adults will love the luxurious suites which are named (and decorated) for cities all over the world, while kids will be over the moon with the Disney inspired bedrooms. With 13 bedrooms and 14.5 bathrooms, parties of up to 32 people can be comfortably accommodated here. 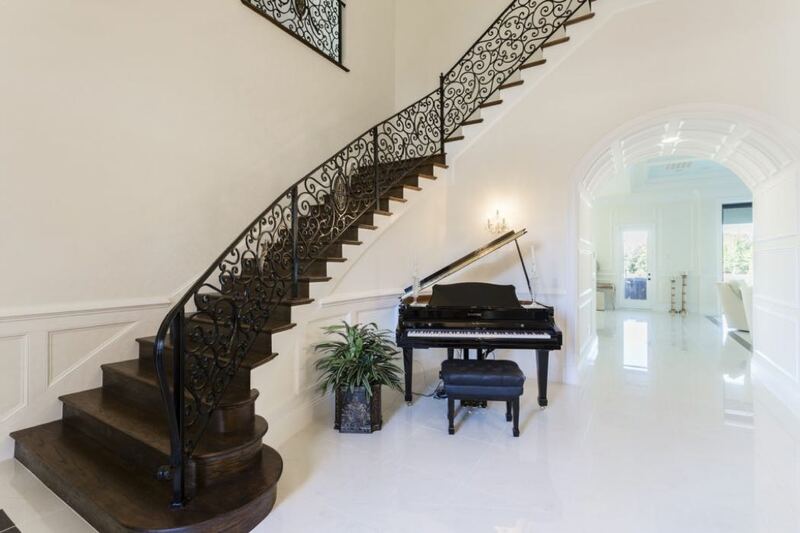 The living areas of this beautiful property have been tastefully decorated in white and neutral tones with opulent features such as marble floors and crystal chandeliers. With large function areas available, this villa is ideal for hosting special family parties or events. 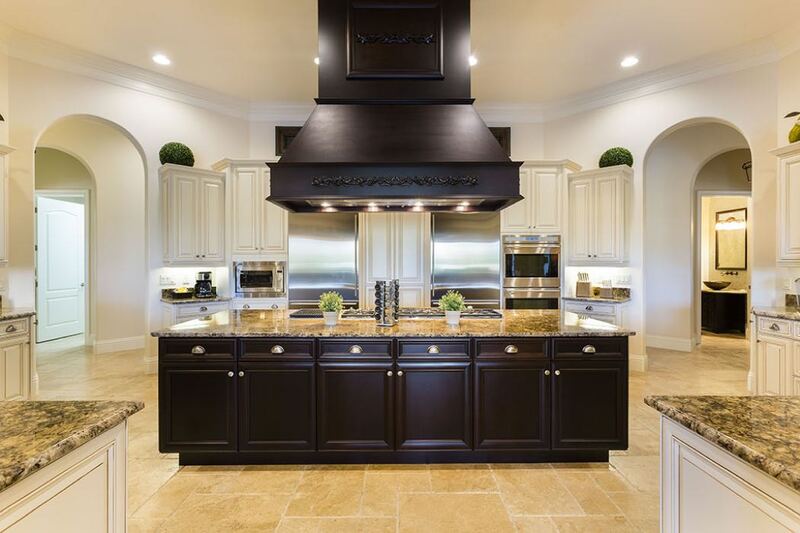 There is also a gourmet kitchen with stainless steel appliances, luxurious seating areas including a TV lounge and a dining area which can accommodate 32 people. 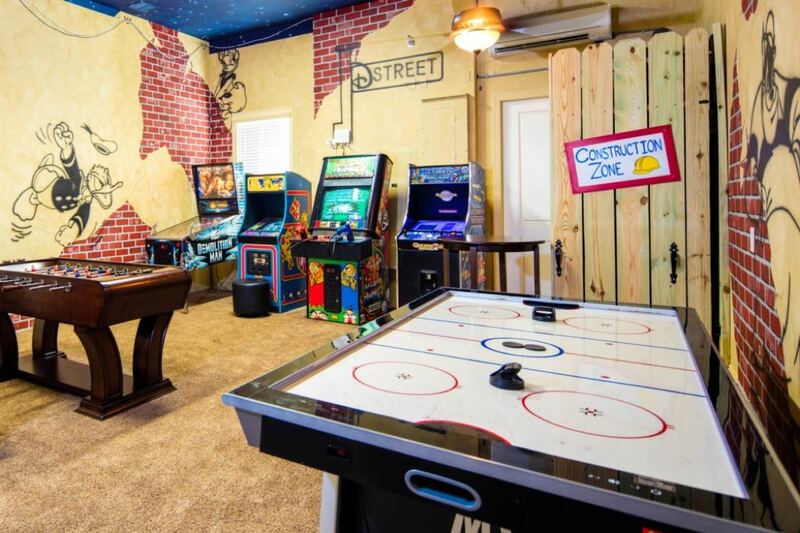 The games room includes a pool table, foosball table and arcade games as well as a media wall with six TV screens, an X box and PS4. 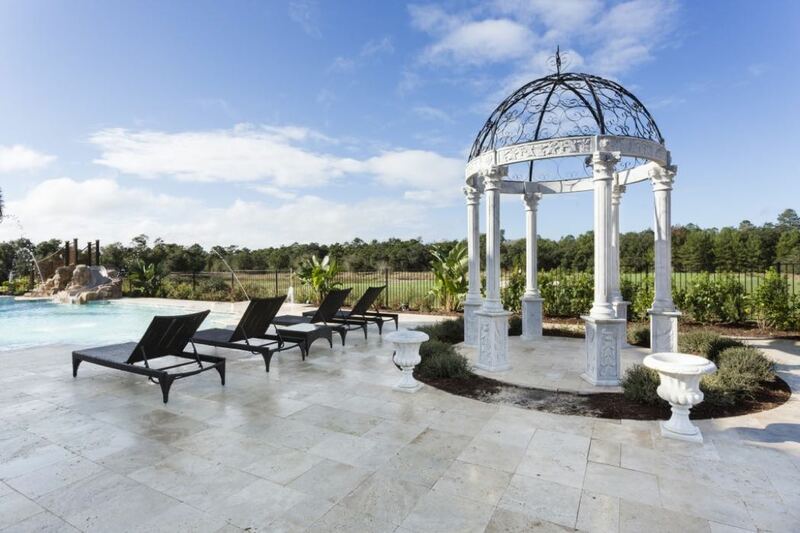 Outdoors, there is a beautiful pool and spa area, including a splash pad and built in slide for children, an outdoor movie screen, small putting area and marble gazebo garden. 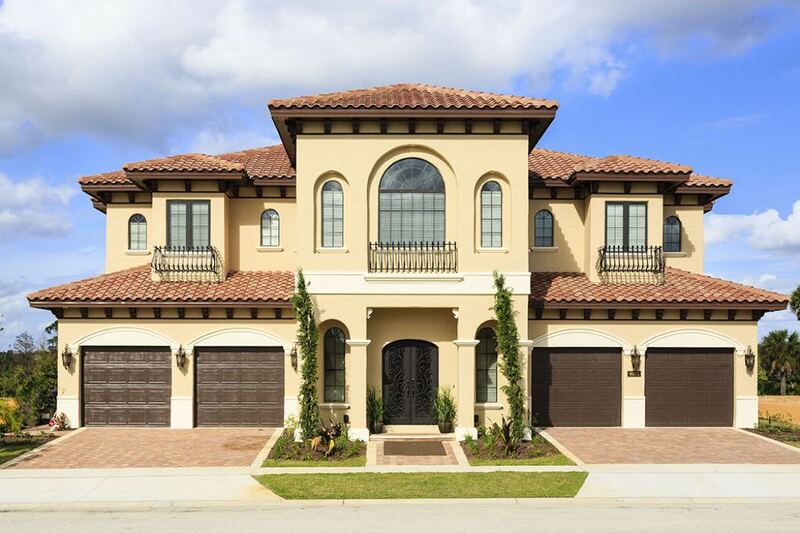 Even with the lure of nearby Disney World, it would be hard to leave this villa behind! Cable TV, wireless internet and air conditioning are all provided. 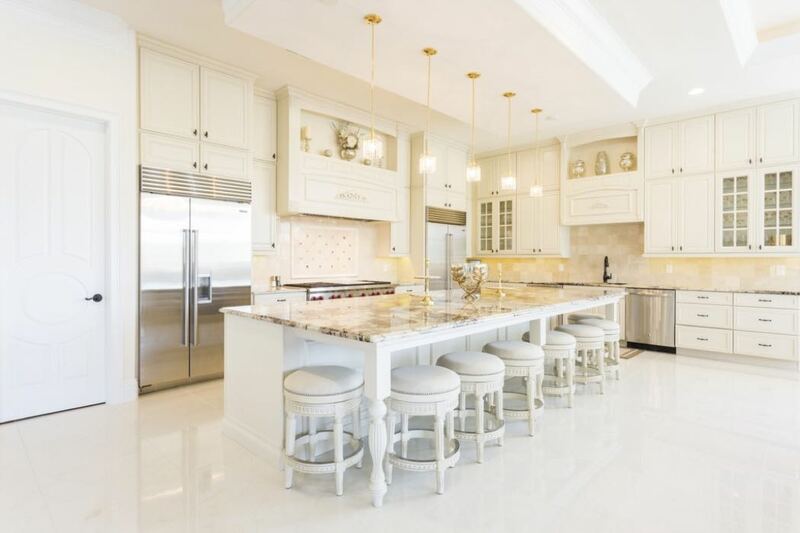 Luxury Villas USA offers top class Orlando villas along with a highly professional 24 hour concierge service – on hand to assist you with all the finer details of your stay, from housekeeping and babysitting to a private chef and butler service for extra special occasions. 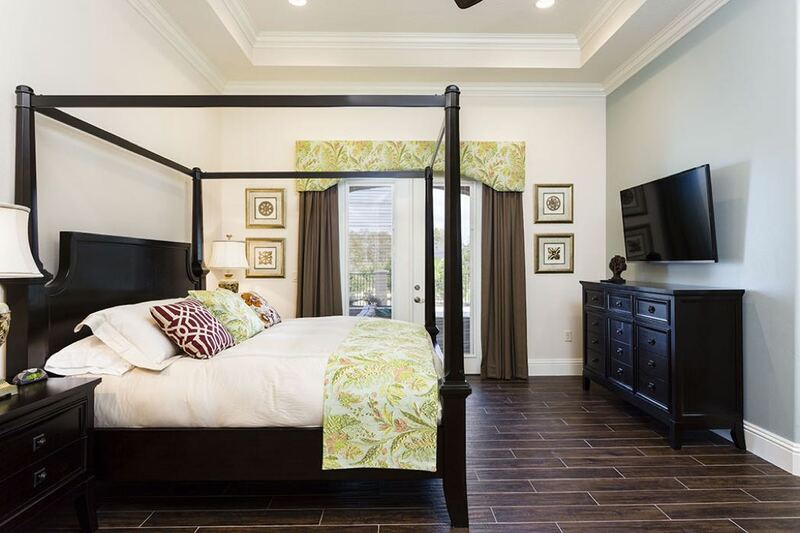 Whether you’re looking to book a relaxing holiday near Disney World or a big event for lots of family and friends, Luxury Villas USA is sure to meet your expectations. Both W149 – 11 Bedroom Mansion On Reunion Resort and W265 – 13 Bedroom Mansion Near Disney are currently available to book throughout June.